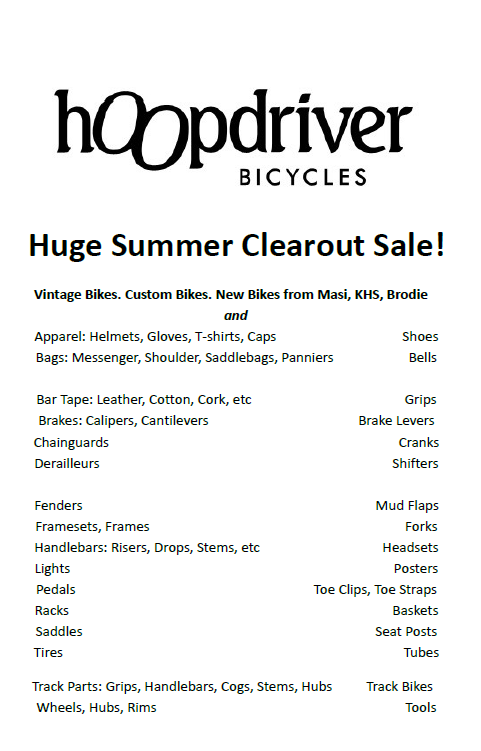 Huge Summer Clearout Sale from Hoopdriver Bicycles! 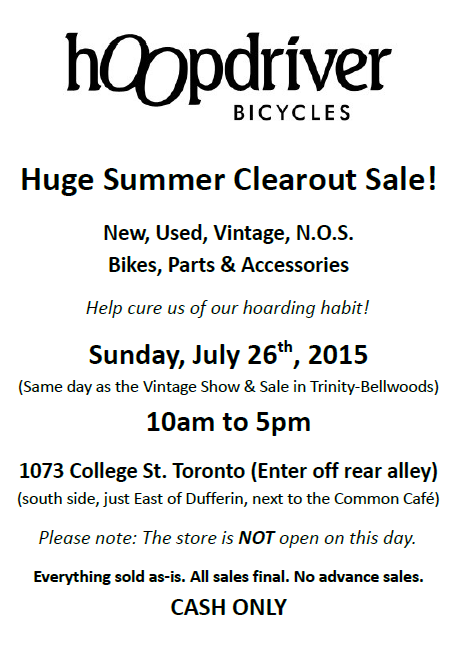 Hoopdriver Bicycles will be hosting a MASSIVE SALE on Sunday, July 26. New, used, and vintage bikes, parts and accessories! The store will be closed and the sale will take place in the courtyard which is accessible through the garage. The new issue of dandyhorse is here! Pick up a free copy at Urbane, Sweet Pete’s, Bikes on Wheels and Hoopdriver. You can buy it online here and at these independent book shops.